I've been fighting with 'The Lurgy' since Wednesday, and finally gave in and got some of the magic potions that are sold under the name of Night Nurse and Day Nurse. They really do sort out the snuffles and the sore throat, but not the muddled brain! 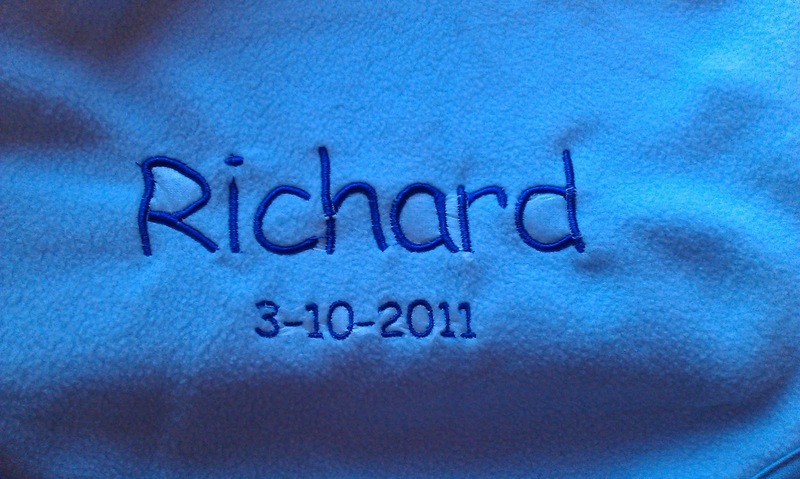 I had an embroidery order for a customer/friend. 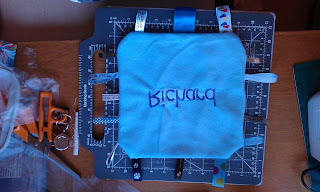 I knew the brain was a bit fuzzy, so to be on the safe side, I did a test stitch. 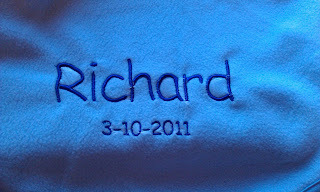 This worked well, so I embroidered the baby blanket. The blanket went well. 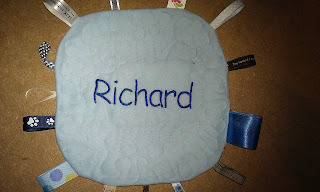 I didn't want to waste the test stitch, so I though I'd make a little taggie thingy for the baby too. 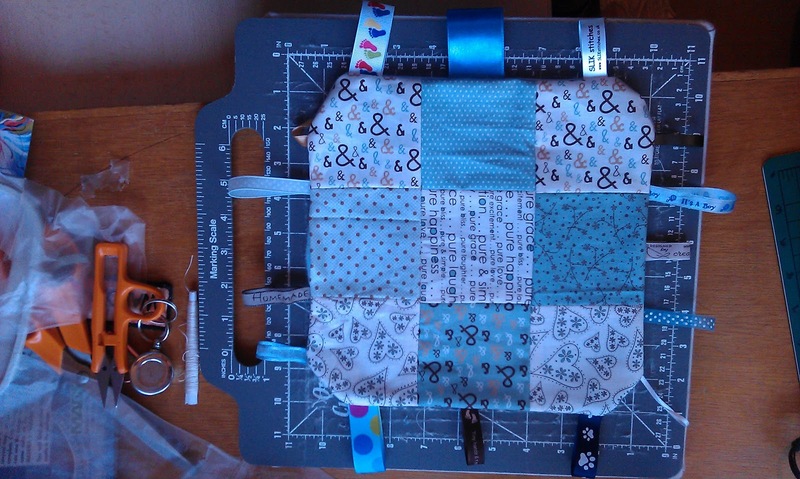 I used some of the new ribbons I got at the Knitting & Stitching show, and although it needed a press and some quilting I was quite pleased with it . . . 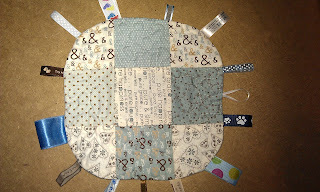 So now I have wasted not only the test stitch, but also loads of bits of ribbon, and some precious scraps of Sweetwater Pure fabric, not to mention time I could have been sewing something pretty, not something destined for the bin. 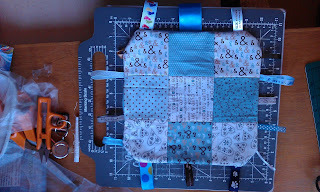 And got the chance to use the Aurifil quilting threads, with some FMQ. FMQing is SO much easier with the right threads! 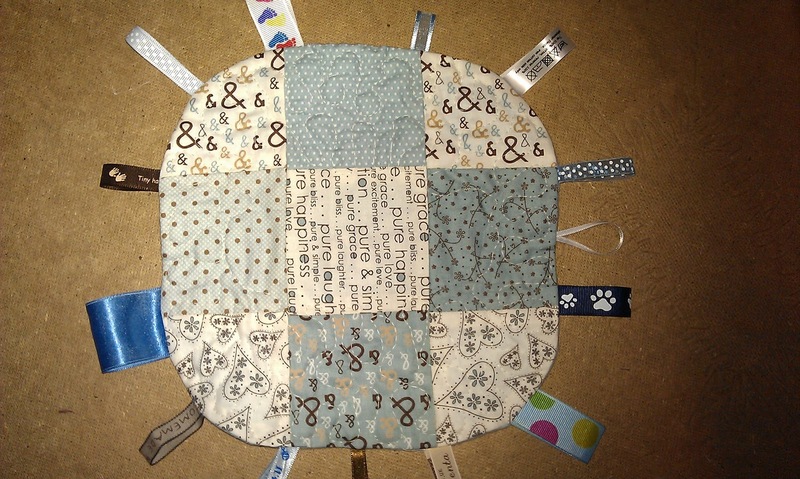 Turned out nicely in the end though - great FMQ!! Way to rescue that baby! 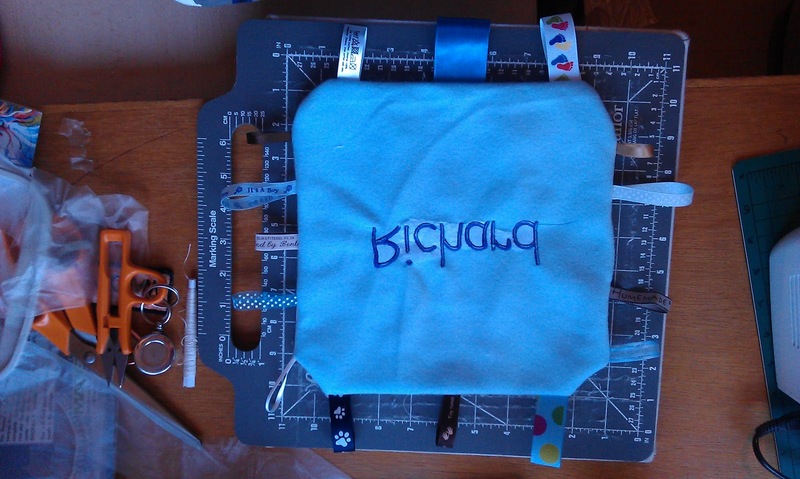 Glad you love the Aurifil, you'll be welcome to the next meeting of AA - Aurifil Addicts! 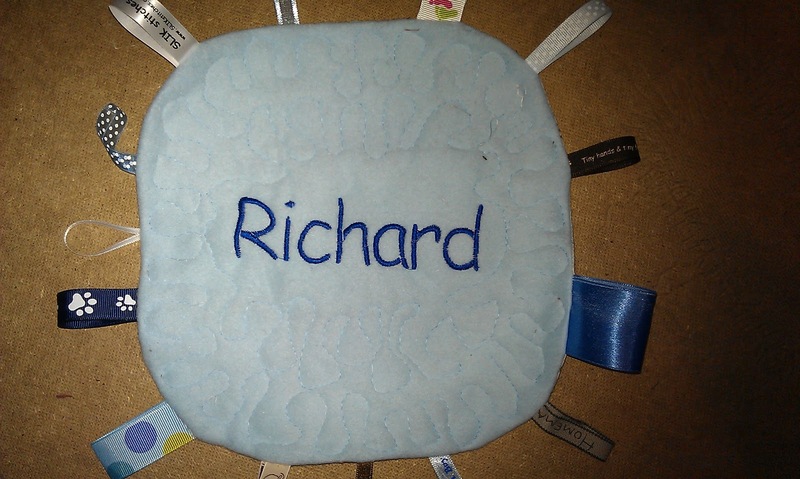 Babies love ribbons and labels so I think it was worth persevering to do Richard's gift, well done and I hope you're soon feeling a lot brighter - in both senses of the word!!! Sorry you are not feeling the best, am a little bit that way myself so need to dose myself too! Well done on rescuing the tag. Sorry to hear you're not well - but thanks for sharing your mishap! 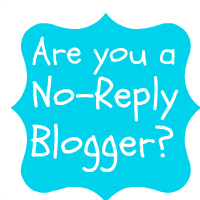 Please know you are NOT alone with doing things like that ;-)) and your fix looks just great! Get well soon!